At Ayoka Systems, we recognize the importance of emerging pharmaceutical software development. With all of the new technologies emerging in the medical field, the pharmaceutical industry can’t afford to lag behind. Furthermore, with the recent uptick in pharmaceutical needs, pharmaceutical software development can help provide those needs faster and more accurately. If you scroll below, you’ll find just a few of the ways in which pharmaceutical software development has improved the industry. If you’re ready to upgrade your existing technology or even implement entirely new solutions, Ayoka is here and ready to help. Out of all of the most recent pharmaceutical software development innovations, mobile technology has risen to the top. In fact, many experts believe that mobile technology is the reason for the most recent pharmaceutical surge. This fact is somewhat surprising given the average age demographics of the patients who use this kind of technology. The patients who need the most innovation tend to be older, especially with today’s increasing lifespans. Nevertheless, older generations have gotten better at using this technology, and they’ve used it to improve their health and wellness. Mobile technology provides convenience, not only for the patients themselves but for pharmacy techs. People who use this technology enjoy speed and convenience while managing prescriptions. Mobile technology, therefore, has allowed the pharmaceutical industry to save time and money. Pharmaceutical software development has provided updated training materials for new pharmacy school graduates and people in pharmacy job training. New employees can use the technology to learn the protocols for their specific place of employment. Of course, the technology also provides materials for universal and country-wide protocols as well. Emerging pharmaceutical software can also provide refresher material for those who have worked in the industry for a long time. As new research and protocols emerge, the mobile technology gives pharmacy employees a fairly quick and convenient way to stay caught up on the latest procedures. Thanks to this technology, the pharmaceutical industry can provide all of these materials without wasting paper on printouts or pamphlets. Emerging pharmaceutical technology has given doctors an easier way to authorize prescriptions. Mobile technology especially has made the process so much easier and more straightforward than it used to be. Not only have doctors experienced more convenience, but so have pharmacy technicians and the patients who get those prescriptions filled. By improving communication between all three of these demographics, pharmaceutical software development can shorten the time between prescription authorization and refills. The technology can cut back on patient wait times because patients can use the software to know exactly when their prescriptions are ready to be filled. Patients may also use the software to request refills on eligible prescriptions. Doctors can use the technology to see when the patient has obtained his or her prescription and authorize refills when appropriate. Overall, better communication means better efficiency, which is crucial to the pharmaceutical industry. Pharmaceutical software development can also aid researchers in clinical trials. With better software comes better data collection. Pharmaceutical software not only allows for more data, but that data can arrive much faster than it would have arrived with paper reporting. The faster the data arrives, the faster researchers can make use of that data. Therefore, researchers can streamline the entire process from data retrieval to data implementation. Pharmaceutical software development can even help researchers notice relevant patterns in the data, which leads to better interpretation and thinking outside the box. In the long run, these advances have the potential to save lives. Mobile pharmaceutical software development gives pharmacy management an easy and convenient way to track inventory. Techs can see what the inventory looks like at a glance, often without even walking into the storage space. This way, they don’t have to interrupt conversations with customers or disrupt their work days. They could also use the technology to keep track of shipments from various locations and keep customers updated on shipment progress. 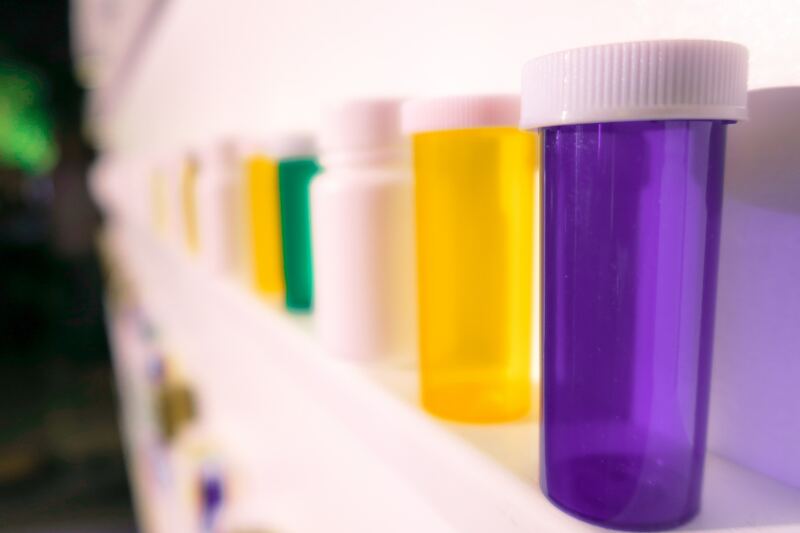 When certain medications are on backorder, for example, pharmacy techs can let their customers know about it and provide estimates about when the medication will arrive. People in the industry can also use their software to stay on top of the rules and regulations associated with pharmaceutical delivery, thus avoiding costly mistakes. Ayoka Systems has always been on the cutting edge of healthcare software, including pharmaceutical software development. We understand the unique needs of people who work with health-related software, which is why we know that custom solutions are better than generic one-size-fits-all software. If you also believe in custom solutions for your pharmaceutical software development, then give Ayoka Systems a call. You can reach us right here in Texas at 817-210-4042. You can also contact us through our website.